One or Two stage implant surgery? Dental implants are widely used today to replace missing teeth. Generally the surgical procedure when placing implants can be done in two ways. Let’s discuss the options between one or two stage implant surgery. One Stage Implant surgery. In this case the implant is placed into the bone, if there is enough bone volume and the density is good, then the stability of the implant will be good as well. Careful surgical preparation is needed in order to ensure that the implant is stable. During surgery the dentist is able to measure the stability of the implant by means of specific instruments. 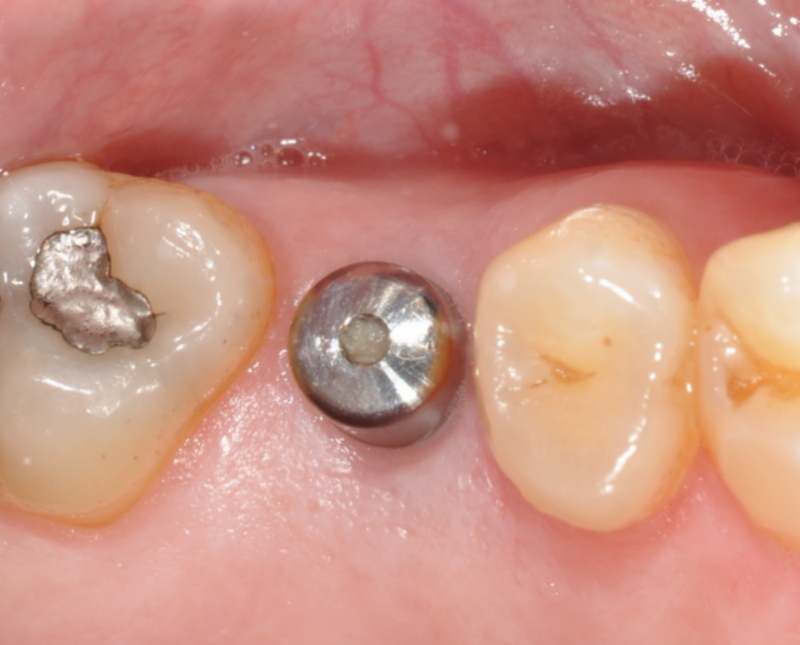 If the stability is above a certain level then it will be ok to attach a provisional crown or a healing abutment. This means that after the implant surgery, it will not be necessary to undergo another surgical procedure. If a provisional crown has been used then this will need to be removed in order for the final impressions to be taken. Similarly if a healing abutment has been used this will also not require any local anesthetic or surgery in order for the impressions to be taken. In summary, one stage surgery means just one appointment of surgery. Two stage surgery is preferred when the implant is placed and the stability of the implant is less than ideal. 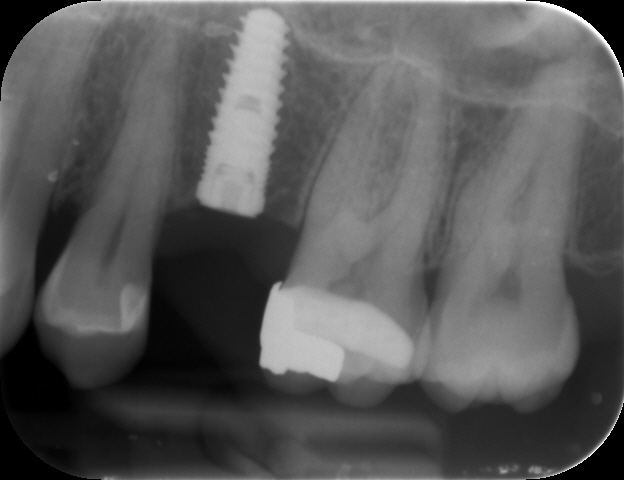 As mentioned above the stability of the implant is measured after surgery and if this is below the required level , the implant dentist will have no option but to leave the implant buried under the gum tissue. This will ensure that the implant is protected by the covering gum tissue. This in turn will ensure that the implant has the best opportunity to heal during the healing phase. You will not be able to see the implant after surgery when having a two stage surgery procedure. 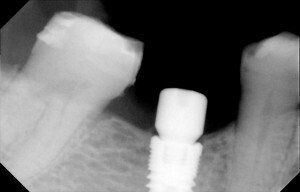 After a suitable healing period 4-6 months the implant will need to be uncovered. This process of uncovering requires local anesthetic and sometimes suturing. A provisional crown or healing abutment will then be attached to the implant so that the gum tissue will not cover the implant again. After this process the implant will effectively resemble the same as an implant during the one stage procedure.